Jewelry, art and accessories in enamel, glass and silver. This little fish in a sea of turquoise will delight anyone who enjoys wearing something unique and colorful. The pendant is enameled formed copper. 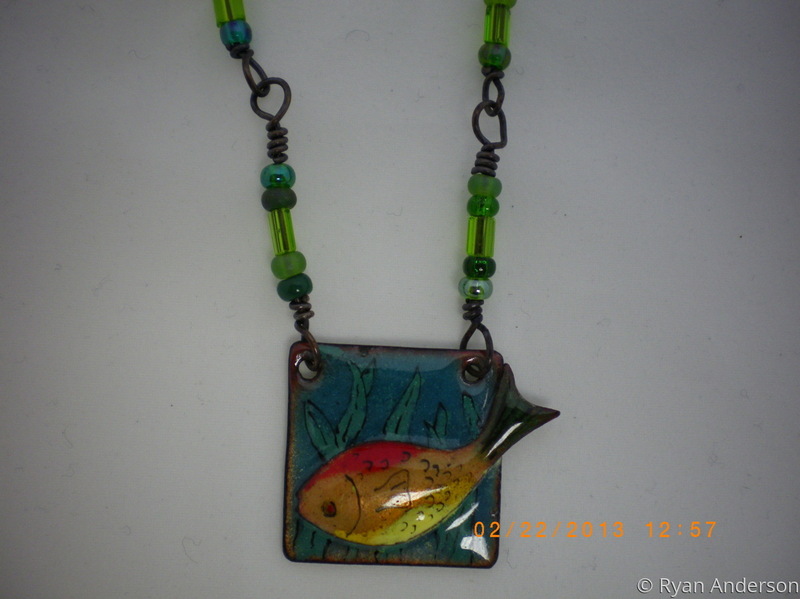 The chain is glass beads strung on copper wire with a hand made copper hook closure. The pendant measures approximately one inch square. Overall length about 22 inches.